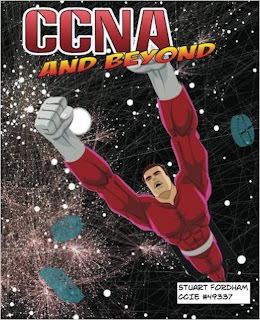 The CCNA v3.0 added a new topic; to describe the impact of firewalls, access points and wireless controllers in an Enterprise Network. 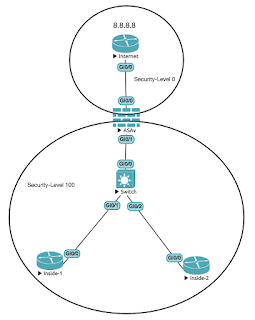 We will start by looking at firewalls today, and over a couple of posts, because there is a lot to them. Don't worry too much though as the exam syllabus lists this as a "describe", rather than a "configure". So there will only be a couple of questions on these in the exam. We will cover access-points and wireless controllers together in a separate post (as it makes sense to do that). A firewall can be either software-based, or hardware-based, but pretty much all of them are based around a Linux kernel. No matter what the make or model, they all do pretty much the same thing, and that is to separate the host machine, or network, into zones. 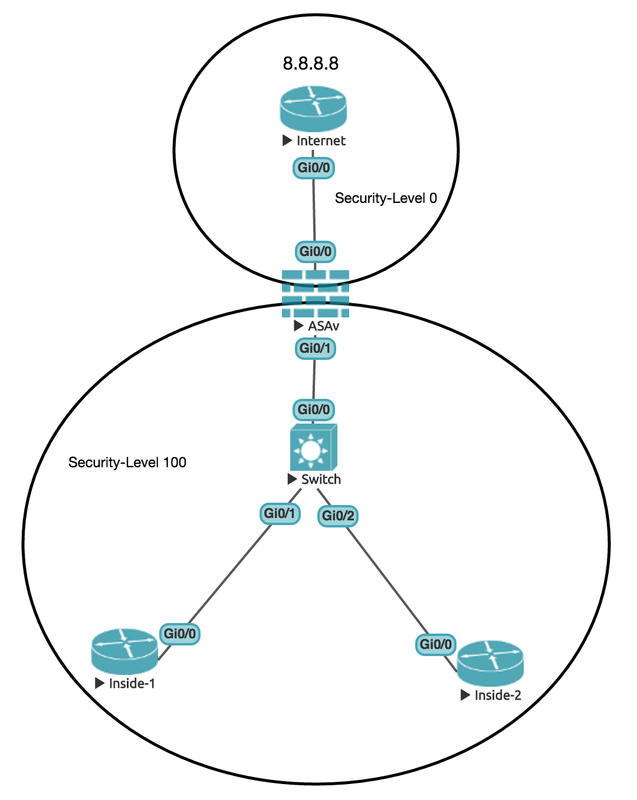 Zones allow us to segregate the network into different security areas. We will be concentrating on the syntax for ASA firewalls, mainly, as these are Cisco devices, and so will probably be the main focus in the v3.0 CCNA exam. 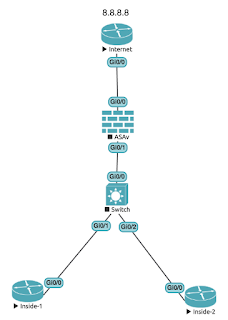 You can try the ASA out on Packet Tracer, but these are the 5505 ones (so really down at the small-end of the scale), and the software version is really old. 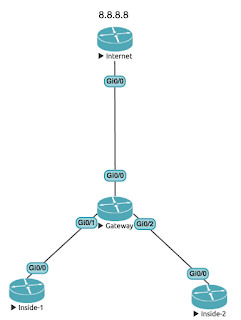 You are much better off, of you really want to play around with firewalls, by looking at UNetLab, or GNS3. With the ASA we can assign names to an interface, the most common being "Outside", "Inside" and "DMZ". We will first look at the Outside and the Inside. We can have more than one "Outside", if we have multiple connections to the Internet. The Outside is given a security level value, which is 0 by default. Our Inside interface will also be given a security level value, usually this is 100. By default we can go from a higher level to a lower level, but not from lower to higher. Once we set up a firewall, we will see this in action, but the important thing to note is that we will be able to get from the inside network to the Internet, but the Internet would not be able to get into us. Firewalls are stateful, meaning it knows what traffic is leaving it, and will allow the return traffic, but this also means that, without some specific rules, traffic cannot get in. Can we reach this from Inside-1? Now we can ping 8.8.8.8 from the ASA, but not from a host on the Inside. The Internet does not know about the 192.168.1.0/24 network. The logs above do show that the Internet is sending the reply back to the Inside-1 router. But it is not reaching it, because the return traffic is not permitted by the firewall. We need an access-list (ACL) to permit this. As you can see here, we have the two rules we added, but there is no rule stating that other traffic is to be denied, the rule exists, but we just can't see it, because it is implicit. 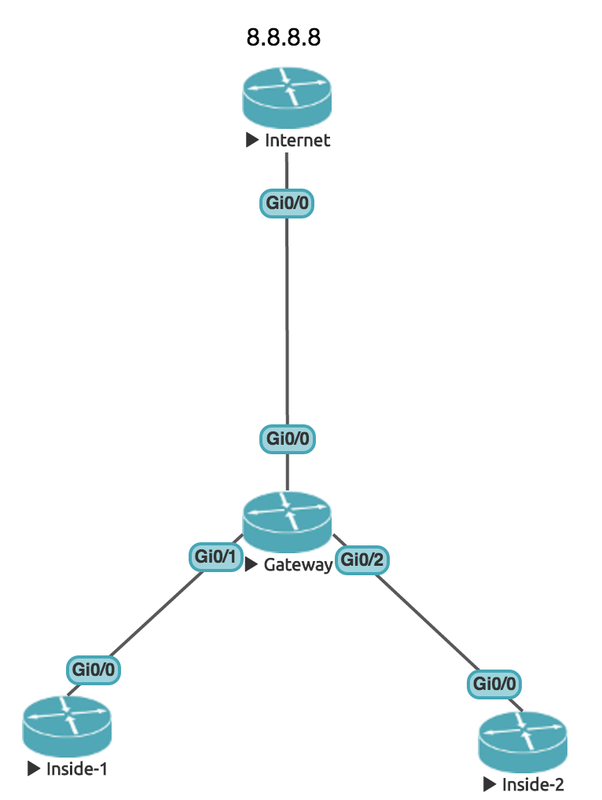 Strictly speaking, we wouldn't be running OSPF straight from the ISP into our network. The RFC1918 addresses we use on our internal network are not routable on the Internet, and if you were to advertise a default route to the ISP, well, I am sure they would not be happy about it. Can we still reach the Internet? We can, but now we are hidden behind the firewalls outside interface (10.1.1.2). The takeaway from this post is that you cannot just run out, buy a firewall, plug it in, and expect it to work. At the very minimum you will need to add some access lists, and remember the default deny rule. You should always NAT your traffic as well. Because of the NAT we will not be able to telnet from the Internet router to 192.168.1.10, but we will look at how to fix this in the next part. In the second part of this post we will also look at the role of the DMZ (Demilitarised Zone), and in the third part, we will look at the different modes a firewall can be in. 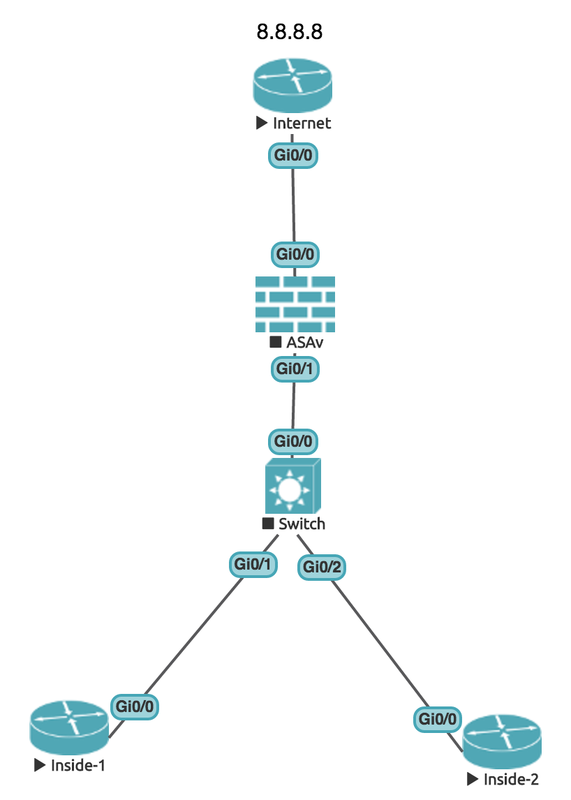 So far we have been looking at a routed firewall (it has a layer-3 IP address). This is just one flavour of firewall, but is the most common, certainly the one you are most likely to encounter.